14 pair of socks to be darned. It’s a couple years worth of holey socks that I have got to get repaired so I can wear them. I am down to only a handful of socks in my drawer so it’s now time to get a few more wearable. 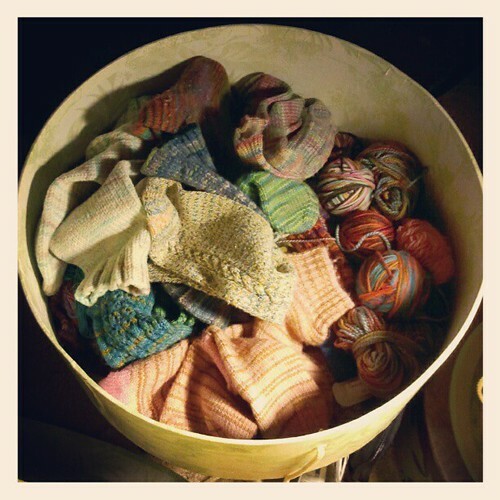 Love my hand knit socks.